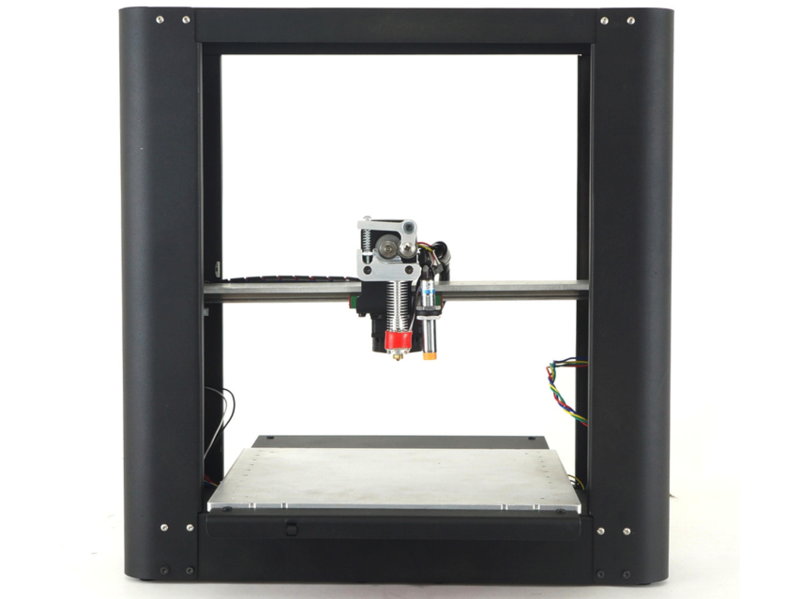 In Stock – PrintrBot Metal PLUS 3D Printer – Black – Assembled « Adafruit Industries – Makers, hackers, artists, designers and engineers! New from Printrbot, the Metal Plus is a rock solid, all metal, fully-assembled beast of a printer! The new Printrbot Metal Plus is constructed of powder coated metal and machined aluminum with open platform for fabricating parts up to 10 x 10 x 10 inches using 1.75mm PLA filament (As opposed to the 6 x 6 x 6 inch build volume of the cheaper Printrbot Simple Metal). The printer head moves on the X (left to right) and Z (up and down) axes, while the print bed moves on the Y (backward and forward) axis. 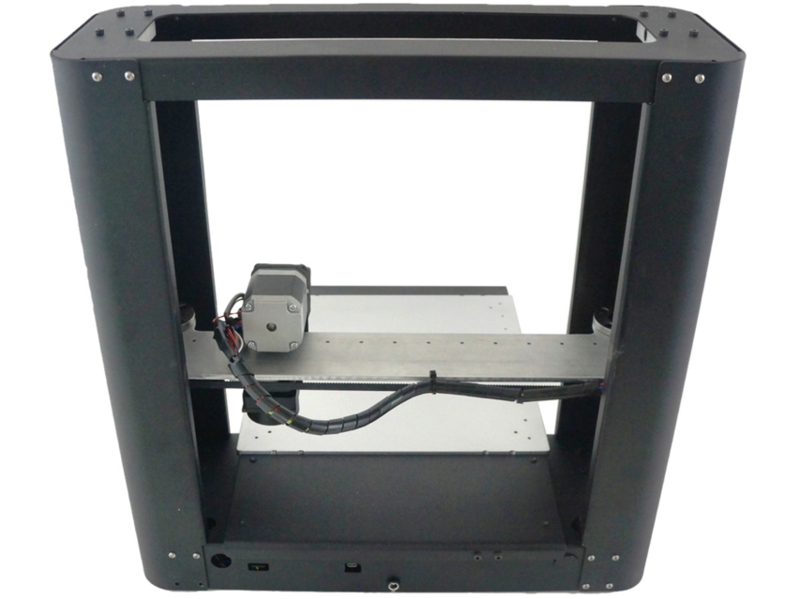 The Mic 6 aluminum bed is extremely flat and works with an Auto-Leveling Probe with the user-chosen software to calibrate the height of the print head. The Plus comes with a 1.75mm ceramic Ubis Hot End. The printer uses open source software and connects to the computer using the included mini-USB cable. Using a micro-SD card (not included), the printer can be disconnected from the computer for untethered printing during long print jobs. 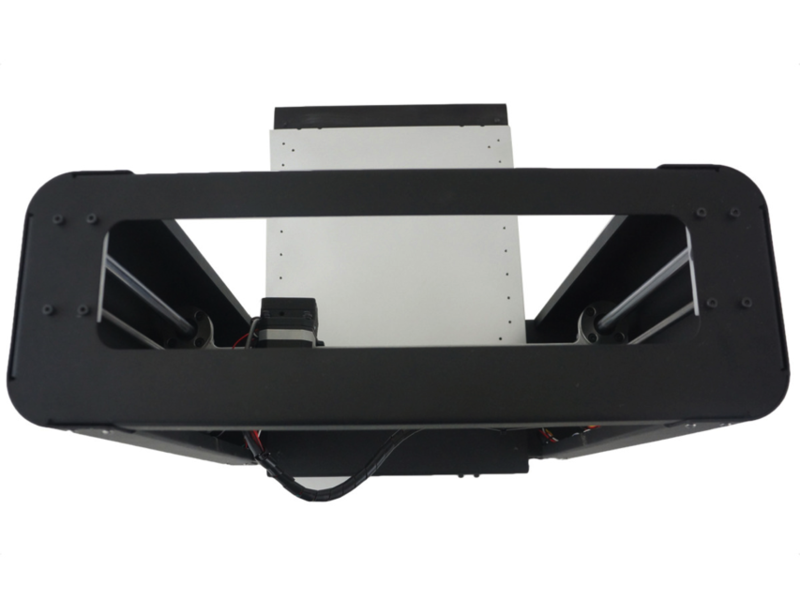 Linear rails and carts for stability and smooth movement of the print head and bed. The GT2 belt and aluminum pulley system facilitates precise movement of the print head and bed. The NEMA 17 stepper motors meet the National Electrical Manufacturers Association (NEMA) standard ICS 16-2001.